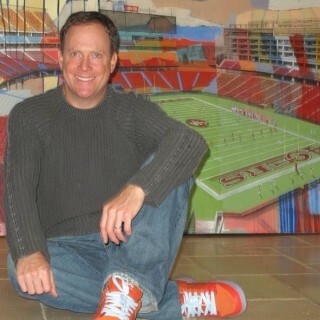 The Art Collection at Levi’s® Stadium is home to over 200 original pieces and more than 500 photographs. The museum-quality artwork featured is comprised of mixed mediums such as acrylic, charcoal, enamel, oil, pastel, pen and ink, stencil, metals and sculptures. Of the 23 original artists showcased, 20 hail locally from California. 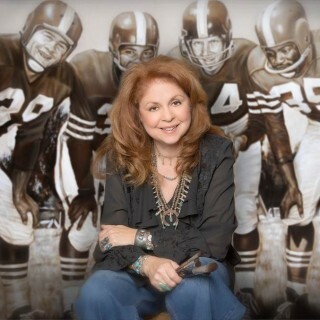 The photographs in the collection are from the archives of the 49ers and their esteemed group of team photographers, as well as from the San Francisco Chronicle and many local libraries and historic centers. 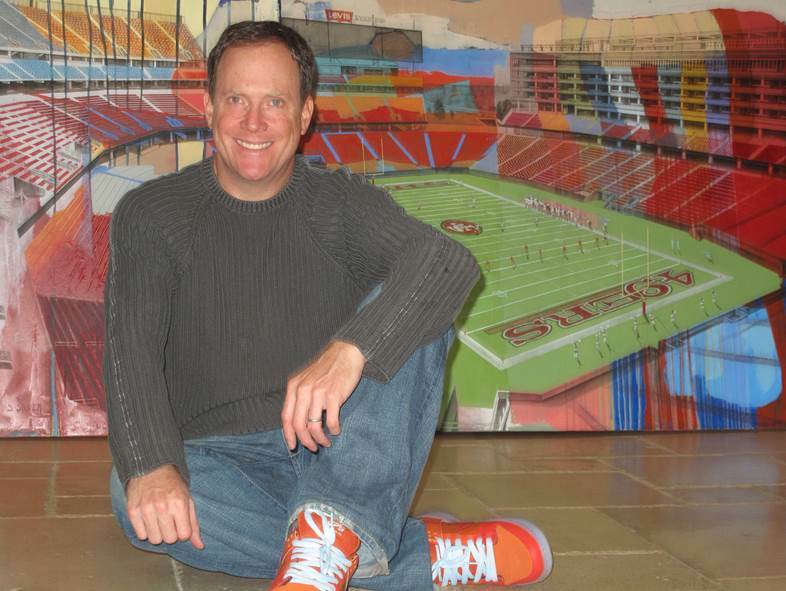 Bill Fox, a San Francisco native, attended his first football game at the age of six to watch the 49ers take on the Green Bay Packers in 1956 at Kezar Field. 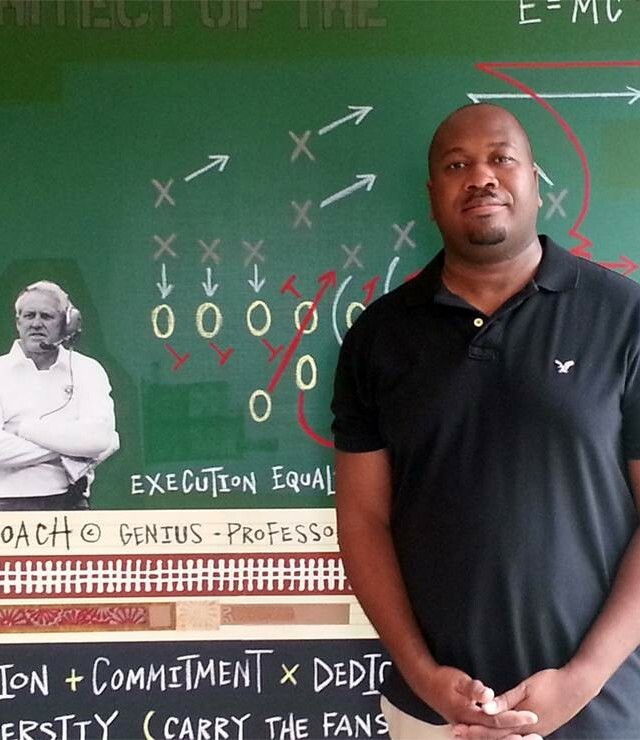 Fox tried his hand at quarterback at Lincoln High School in the mid-60’s, alongside teammate Mike Holmgren. Fox went on to play football collegiately at San Francisco State and today holds the school record for the longest touchdown pass of 90 yards. 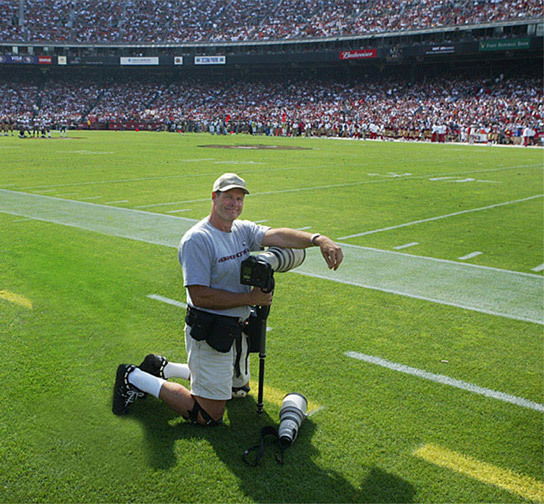 After SFSU, Bill enlisted as a police officer and shortly retired thereafter to pursue his love of photographing sporting events. 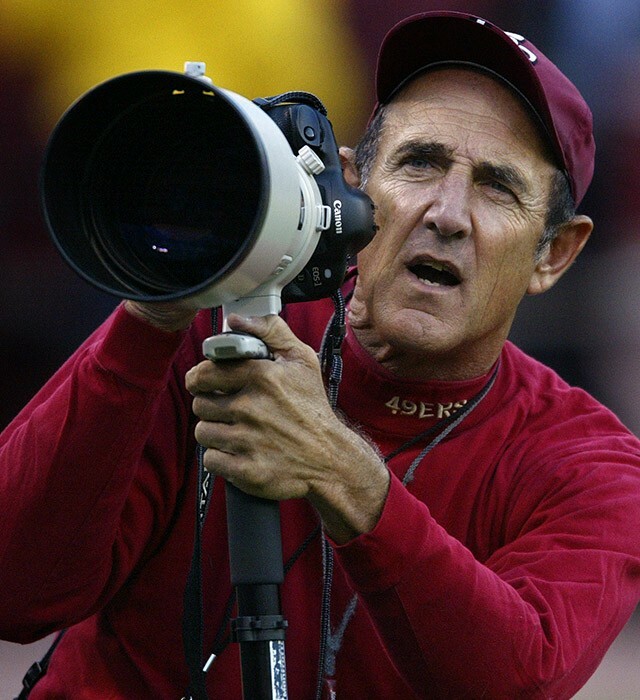 His first 49ers game behind the lens was captured in 1973 against the Rams, and he photographed 49ers’ games from 1987 through 2009. 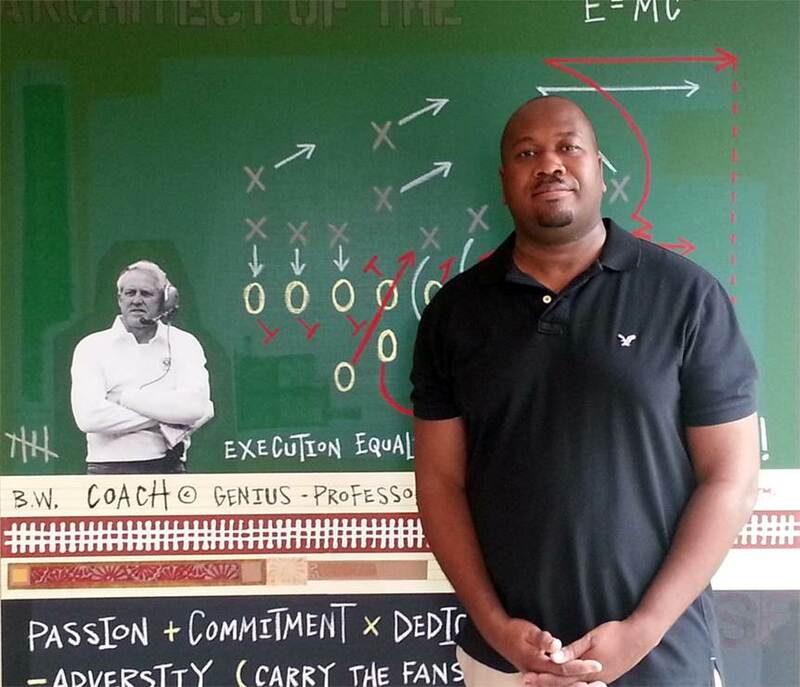 Bill’s work has been recognized by the Pro Football Hall of Fame and throughout numerous sports publications. San Francisco 49ers team photographer Terrell Lloyd has been with the organization for over 15 years. 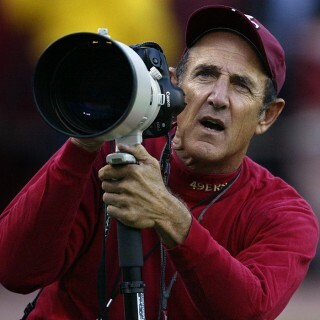 He is noted for his experience shooting professional and college sports. 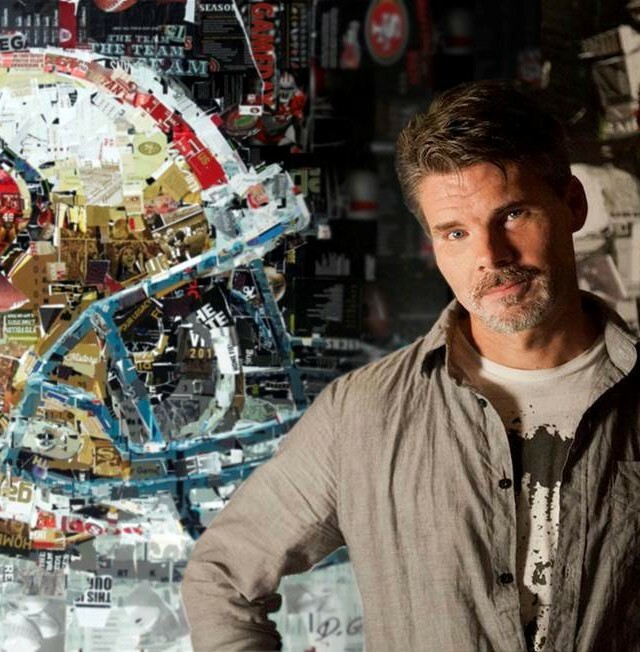 In 1994 Terrell Lloyd was granted the opportunity to shoot on the sidelines at a San Francisco 49ers game and his passion for sports photography exploded. 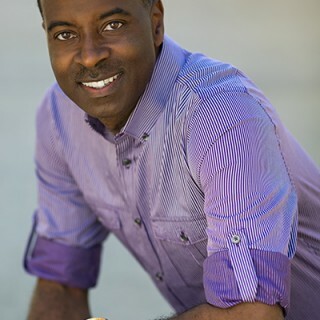 Over the past 18 years, Lloyd has diversified his business by photographing a multitude of events. 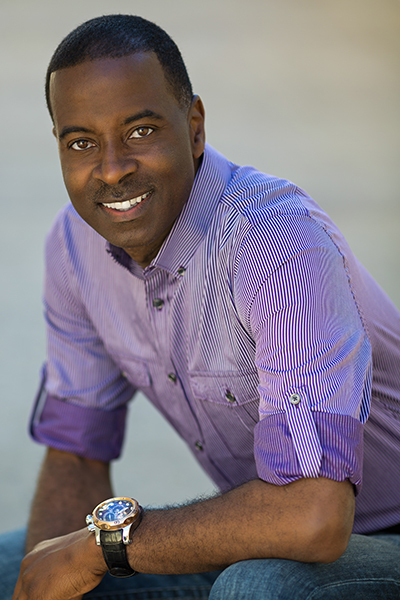 He has mastered the art of photographing high-end corporate events, products, and more. As a photographic artist Lloyd remains on the leading edge of technology as he continues to provide his clients with top level service and professionalism. Lloyd’s clients include BMW, Yahoo, Intuit, Ritz Carlton Hotel, NetApp, Verizon, Canon USA and SanDisk Corporation. Frank Rippon, a San Francisco native, acquired a camera and started photographing while in his early teens. 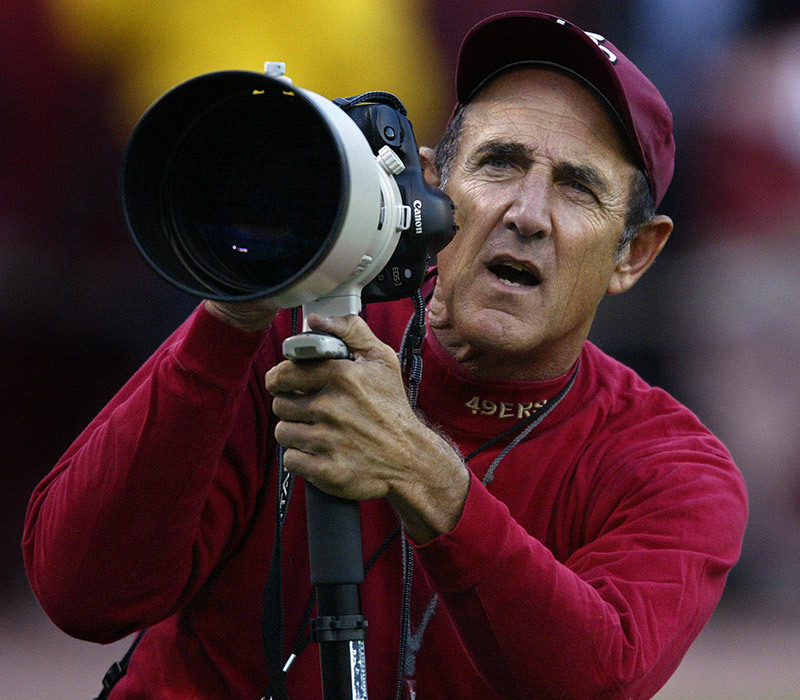 “Rip” began photographing local college teams out of high school and shortly after approached the San Francisco 49ers organization to shoot. 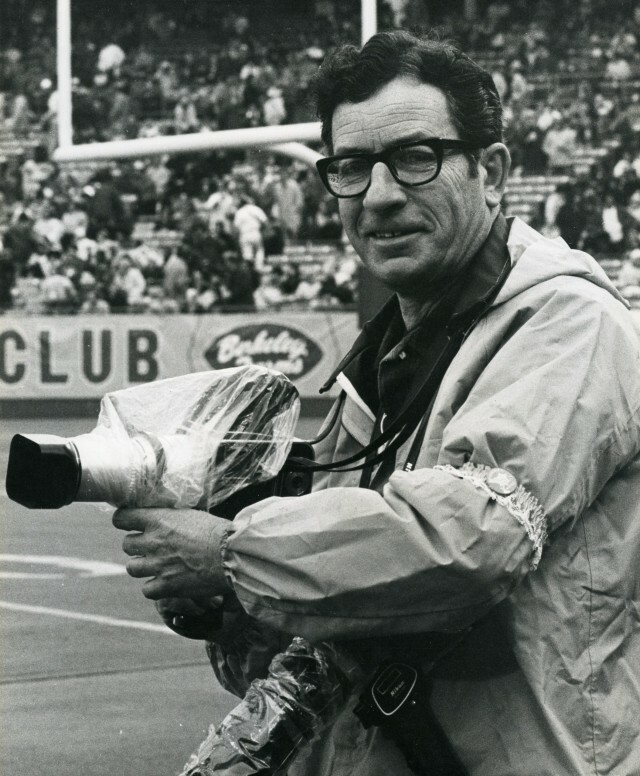 He started his long career with the 49ers shooting every home game from 1948 through the 1984 season. 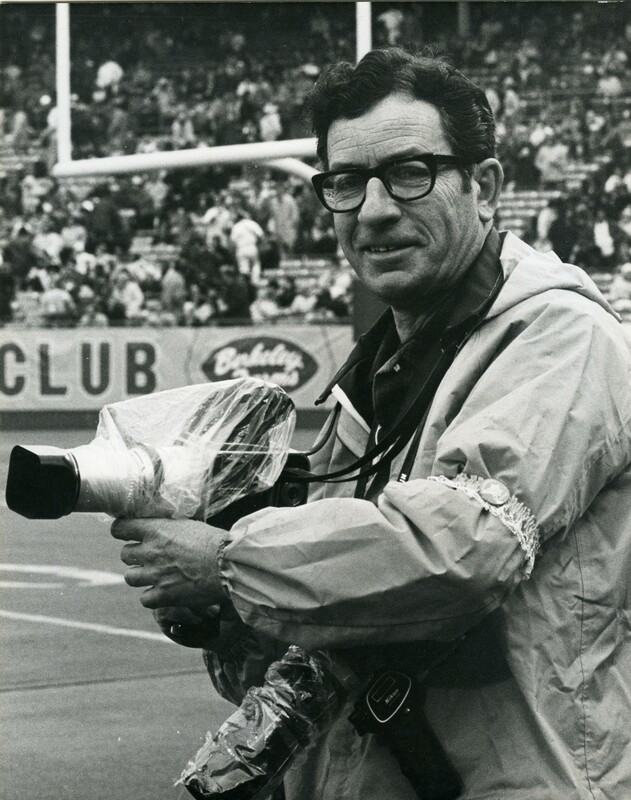 Rip’s iconic black and white shots of the team’s sideline and on-field action during the early football era truly documented the roots of the 49ers past. 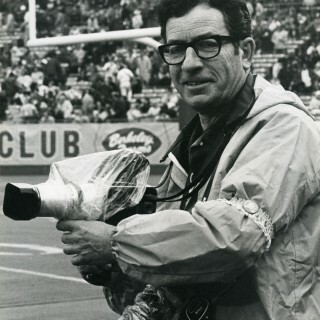 Michael Zagaris began as a team photographer for the San Francisco 49ers in 1973, and the Oakland A’s in 1981, both which he continues to shoot to this day. 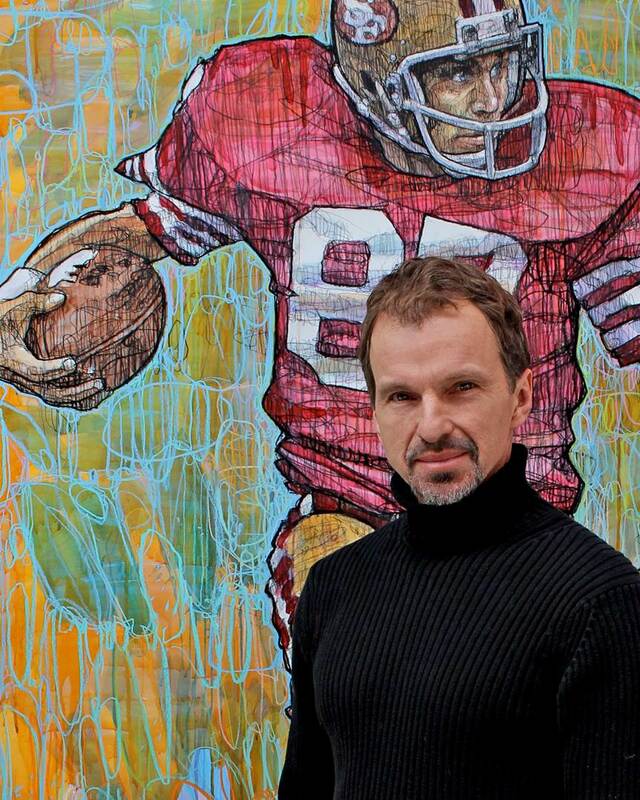 To date, Zagaris has photographed 34 Super Bowls, 12 World Series and 14 All Star games. His photos have appeared in numerous publications including the cover of Sports Illustrated. For the past four decades, Zagaris has captured moments of influential musicians including Eric Clapton, The Who, The Grateful Dead, and has worked editorial gigs including Rolling Stone. Zagaris lives in San Francisco’s Haight-Ashbury district where he has been since 1973, and continues to shoot music, sports, fashion and culture. Initially attending San Jose State for his photography, Ben Alexy quickly moved from photography to painting and never looked back. In painting, he found a voice and a strong sense of purpose and direction. His early photographic training continues to inform his work in terms of both composition and the implication of time inherent in stop motion. 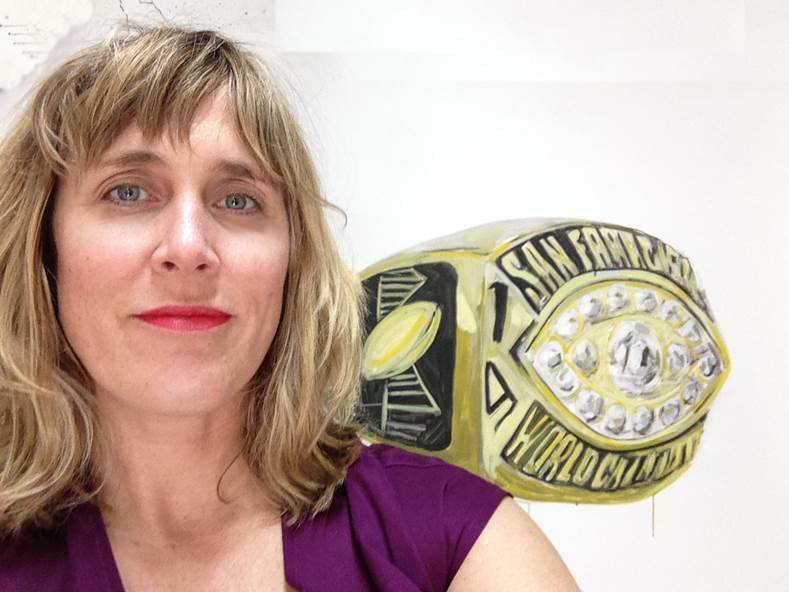 Alexy remains an active exhibiting artist in California. 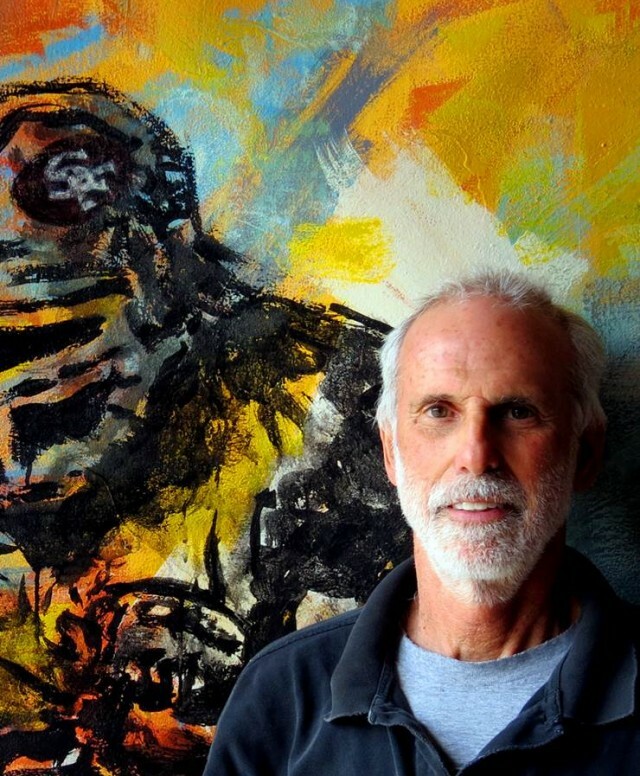 Milton Bowens is the Lead Artist in Residence at Twin Rivers Unified School District. He has visited more than 60 schools over the past two years and was the spokesperson for Sacramento’s Any Given Child 2010 inaugural year. Bowens has donated his artwork to raise over $25,000 for arts & charitable organizations in the Sacramento and Oakland communities over the past several years. 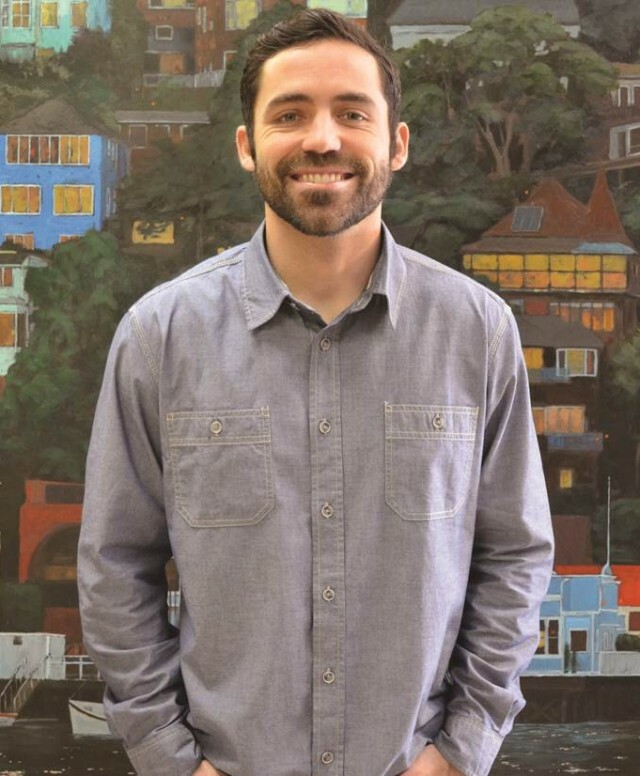 He’s conducted a youth art residencies for Dillard Elementary School and Father Keith B. Kenny Elementary School and has made The Art of Storytelling presentations at Laguna Creek High School and Highlands High School and Sacramento City College. He has mounted over 10 solo exhibitions in the Sacramento and Oakland areas over the past two years. 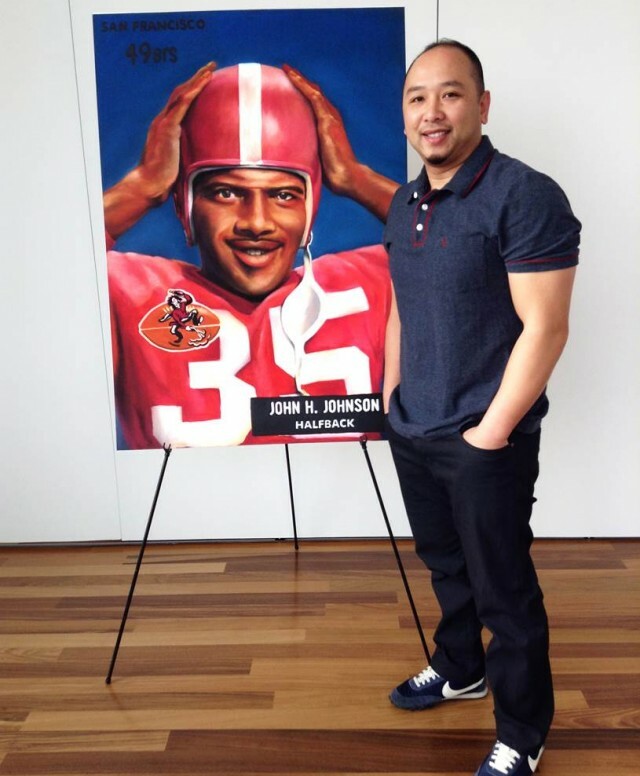 Continuing to work as a full-time artist, he always finds time to volunteer in the schools and for non-profit organizations to inspire young minds and educate them about art as a career opportunity and on the importance of art to culture and society. Growing up in the small farming town of Hughson, in the heart of California’s Central Valley, Nick Brown was surrounded by orchards that seemed as endless as the skies above them. Sports were a big part of Brown’s life, which had to find their place in his daily schedule of drawing, painting, and clay-making. A path of self-discovery and experimentation in the arts lay before Brown after graduating from Redlands in 2006 with a Fine Art degree. 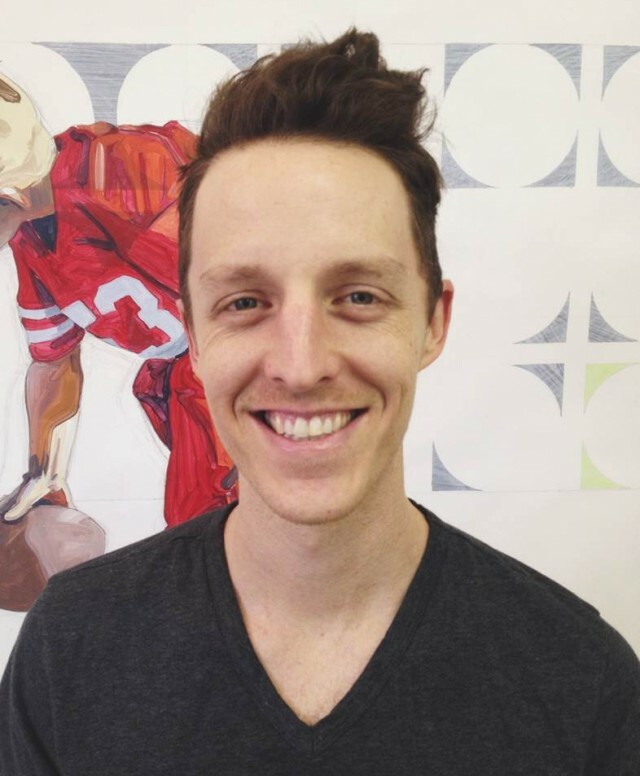 He has worked as an in-house artist and carpenter for the Millard Sheets Gallery in Pomona. Brown intends to keep pushing his limits and challenging his skills, pulling inspiration from the people and places around him as fuel for future creations. 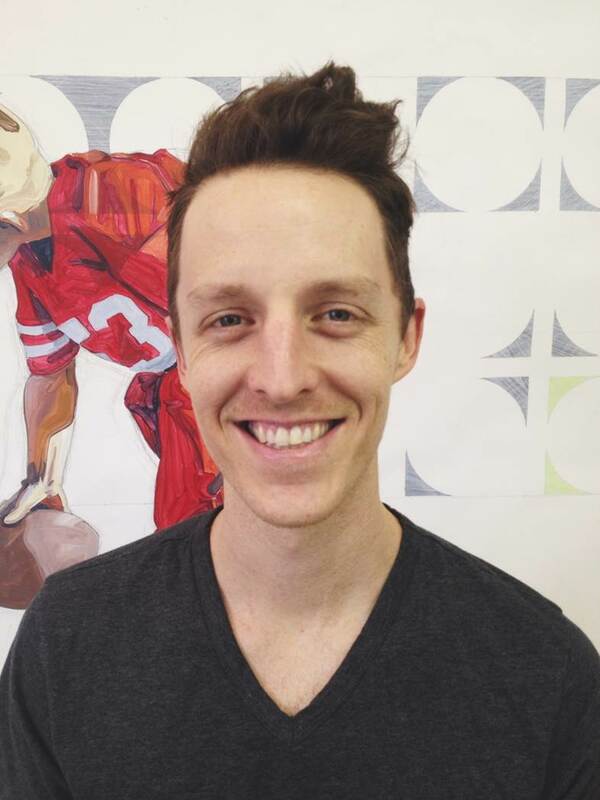 Adam Feibelman was born and raised in Albuquerque, New Mexico. He took to the art of graffiti, a path that would eventually take him to the California College of Arts. His studies in printmaking and illustration won him the Yozo Hamaguchi award in printmaking, and a BFA with distinction. 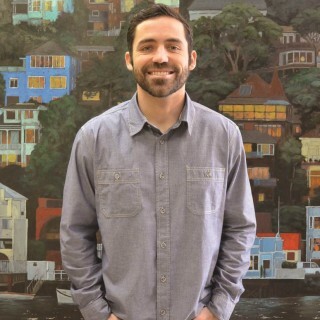 In the years following his formal education, Feibelman’s knowledge of printmaking and savvy ability with spray paint developed into a love and talent for painting using stencils. 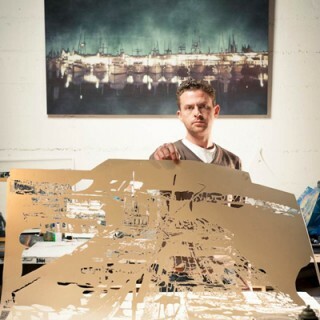 His stencils represent hundreds of hours of meticulous work and fine detail — the hallmark of his works. 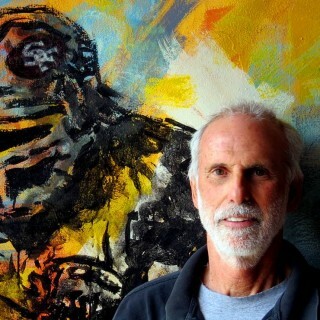 He continues to live and paint in San Francisco, CA and exhibits frequently. Chris Filart was born in the Philippines in 1973 and is an up-and-coming mixed-media, figurative artist living and working in the Silicon Valley. 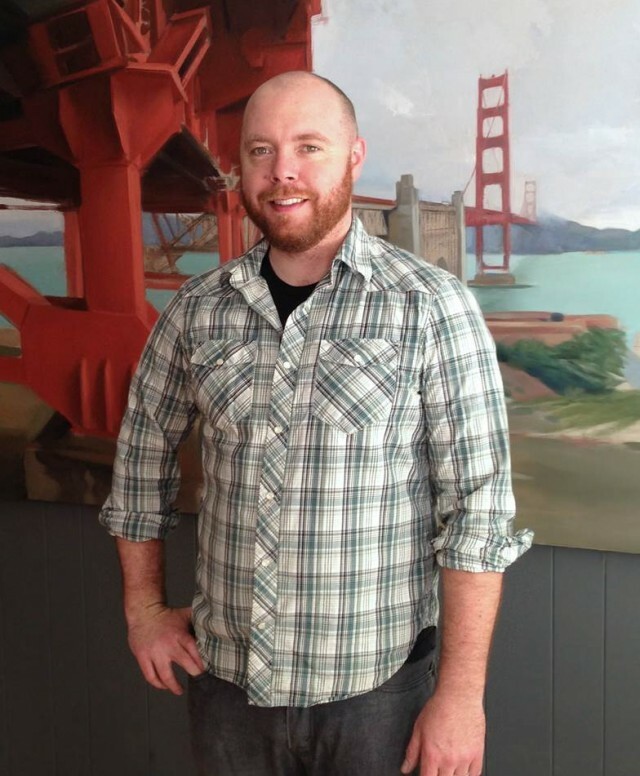 He attended and earned a Bachelor of Fine Arts degree in painting and drawing from San Francisco State University. Filart applies classical painting and drawing techniques to convey movement and emotion with acute attention to the human figure. Bart Forbesʼ unique approach to painting is the result of many years spent both as a fine artist and an illustrator. 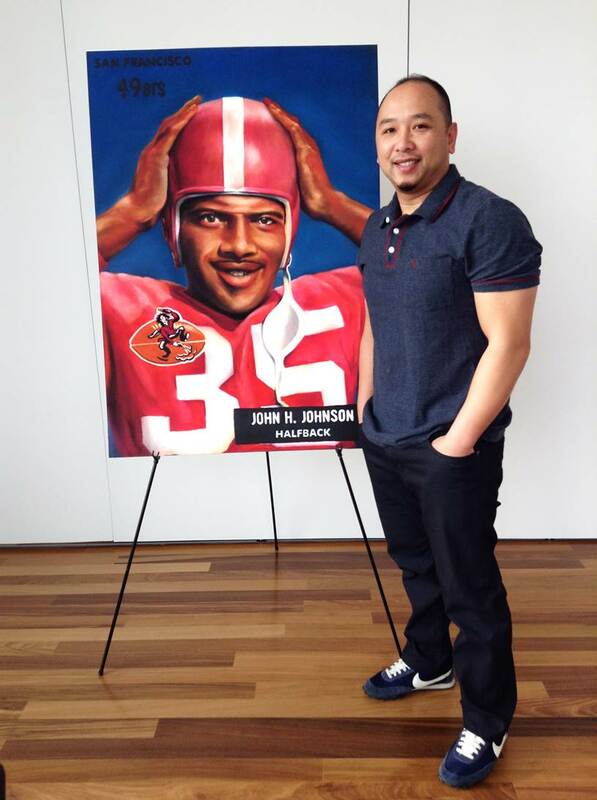 His interest in sports has led to a wide variety of major commissions. 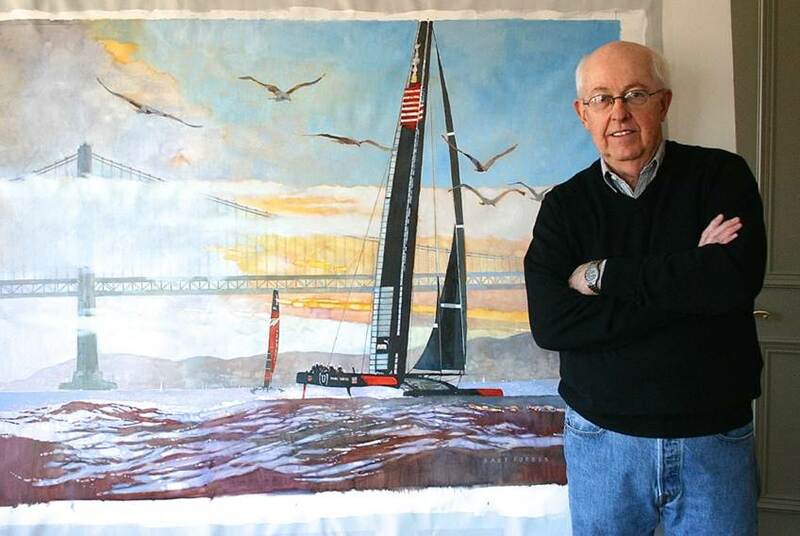 Forbes has created theme paintings for a variety of PGA and Seniors’ tournaments, and is known for his many posters and prints. 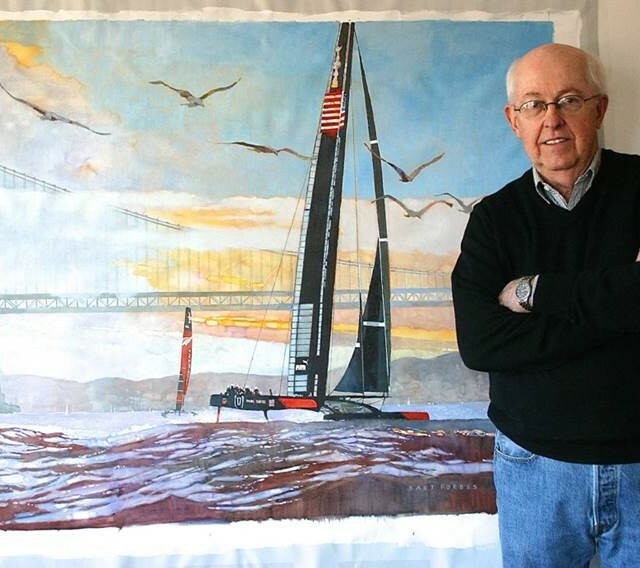 He has designed over 20 commemorative postage stamps for the U.S. Postal Service including stamps of the 1988 Olympics, Lou Gehrig, Jesse Owens and the “America is Beautiful” series. 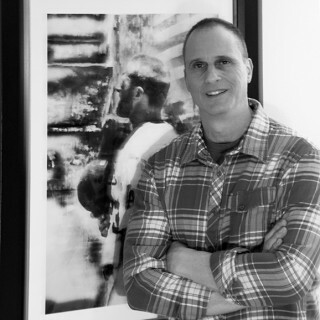 His work has appeared in countless magazines, including Sports Illustrated and TIME. Corporate clients have included Exxon, Pepsi-Cola, ABC-TV, Eastman Kodak, General Electric, Lockheed Martin, American Airlines and the NFL. Forbes’ most recent commission is installed in the Ronald Reagan Library where the original painting depicts the former President. Lynn Hanson lives on the California coast. 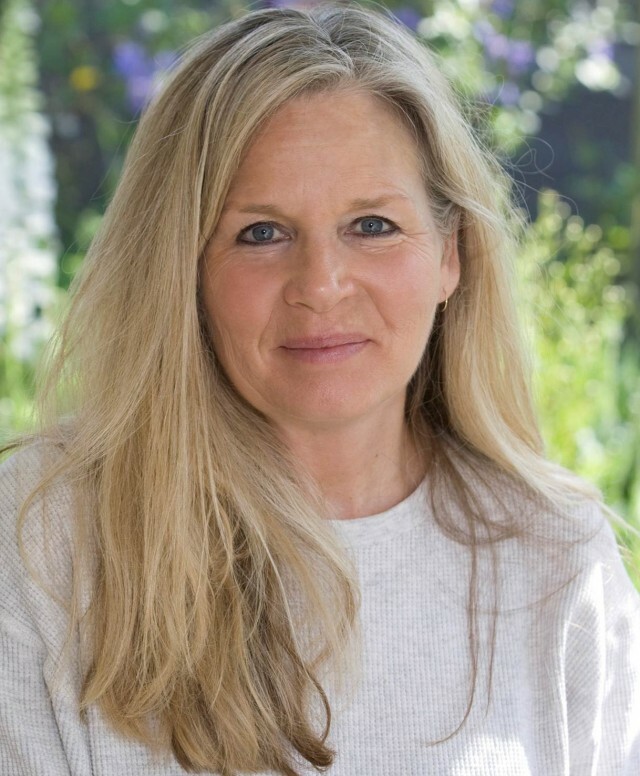 The subjects of her work are people in motion and people in their environment; for reference she often photographs them in action or in their element. The resulting drawings and paintings are large scale, eight feet in height. Another series of large scale portraits documents internationally renowned California artists such as Ed Ruscha, Mark Bradford, and Robert Graham. Hanson also makes drawings on large vintage maps, mostly indigenous wildlife such as crows, rattlesnakes, octopi, and wolves. 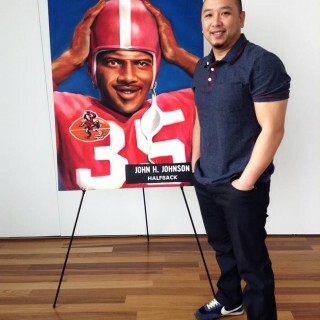 Hanson’s work can be found on exhibition throughout the country. 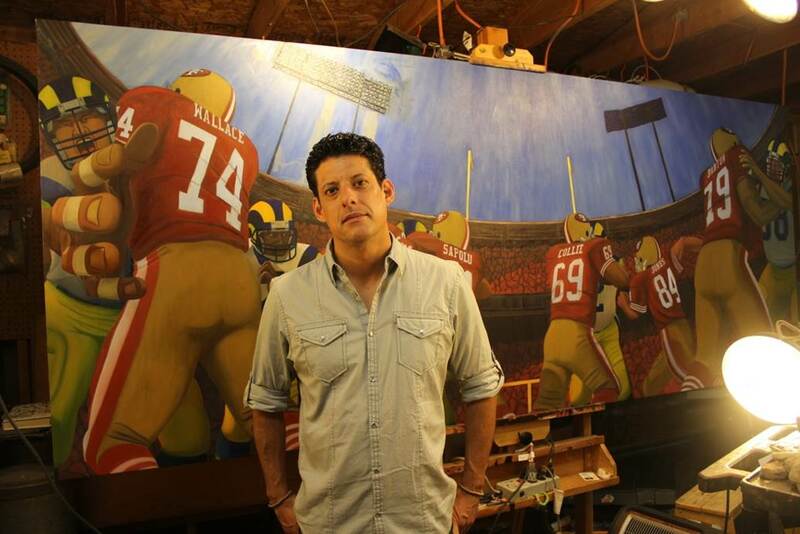 Jorge Hernandez was born in Chula Vista, CA and graduated with a B.F.A. from the University of California, San Diego. Hernandez gravitates toward anything rhythmic and upbeat. He finds inspiration in musicians and the energy they create with a single chord, note or vibration. 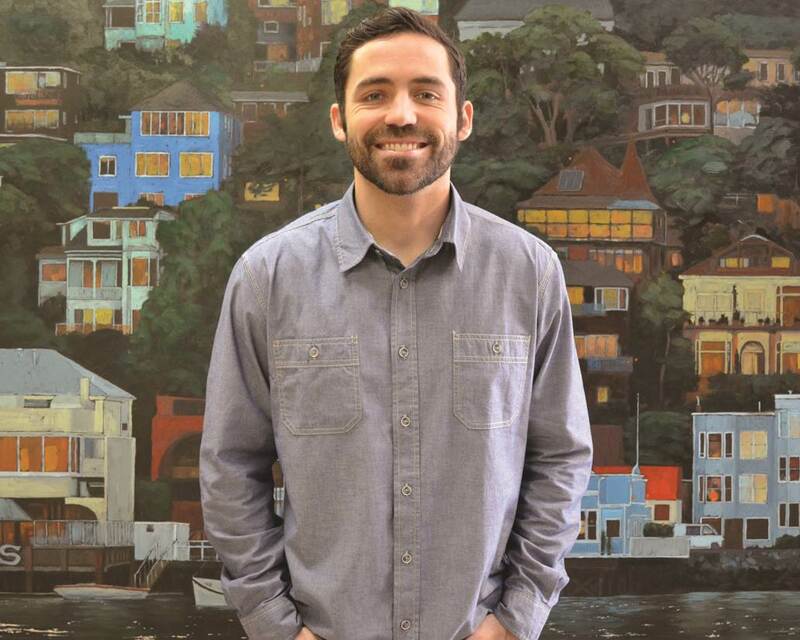 Being of Brazilian and Hispanic descent, Hernandez honors his Latin roots. 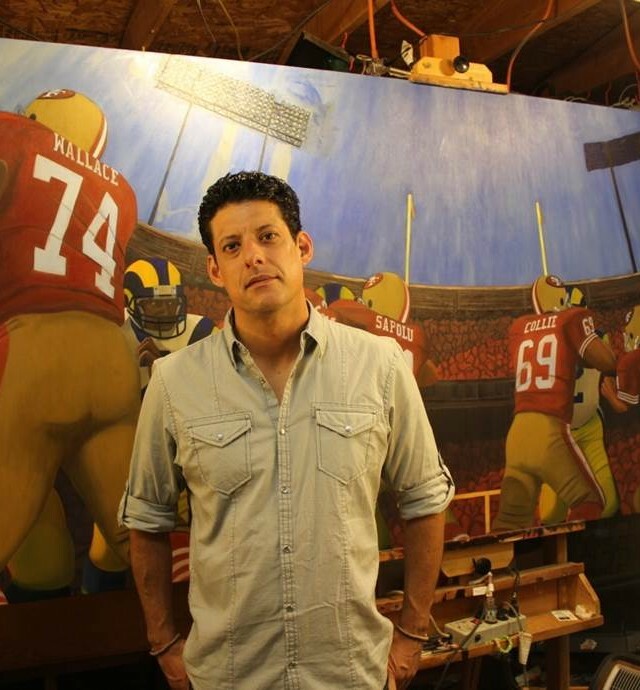 Hernandez met his wife while living in San Francisco and tradition and family keeps him dedicated to art and family. 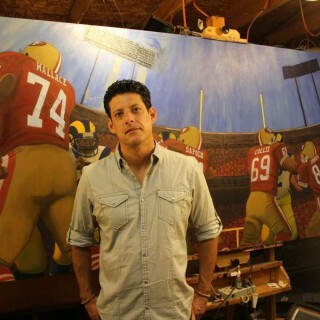 Hernandez was recently featured as cover artist for the San Diego CityBeat magazine. 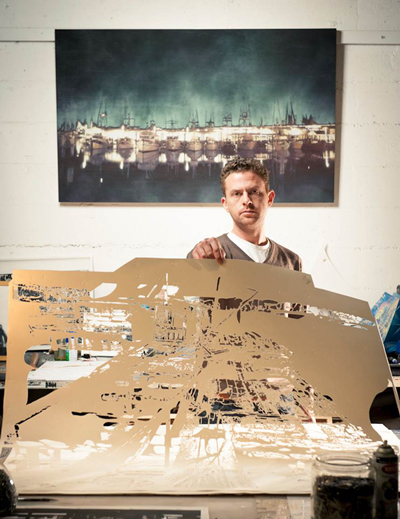 He held his first San Diego solo show in January 2011 and was one of a few artists represented by The Picture Arts Foundation. 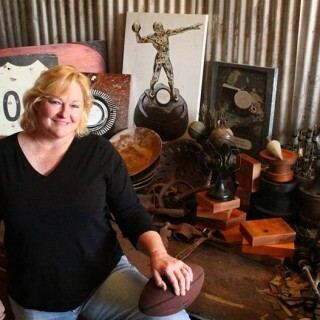 A Bay Area native for over 40 years, Jenny Kompolt has always had an artistic and graphic career – from her time as Creative Director for Netflix, and Partner Marketing at eBay, to her own graphic design & promotional agency, Kompolt Online Auction Agency – which raised over $22 million for charity in her 10 years at the helm. Kompolt has a unique way of finding the good in something common and turning it into something unique and beautiful. She has a passion for social good and giving back to the world in her messaging and her style. Her work has been purchased by a number of celebrities, is featured at the Sundance Resort in Utah, in the lobby of the Cosmopolitan Hotel in Las Vegas, as well as many others. Jon Krawczyk is a hard hitting neo-modernist: New York School with a contemporary twist. His work has a conceptual side, but it is also very much about the physicality of making art and the objects that result from that action, i.e. energy and matter. 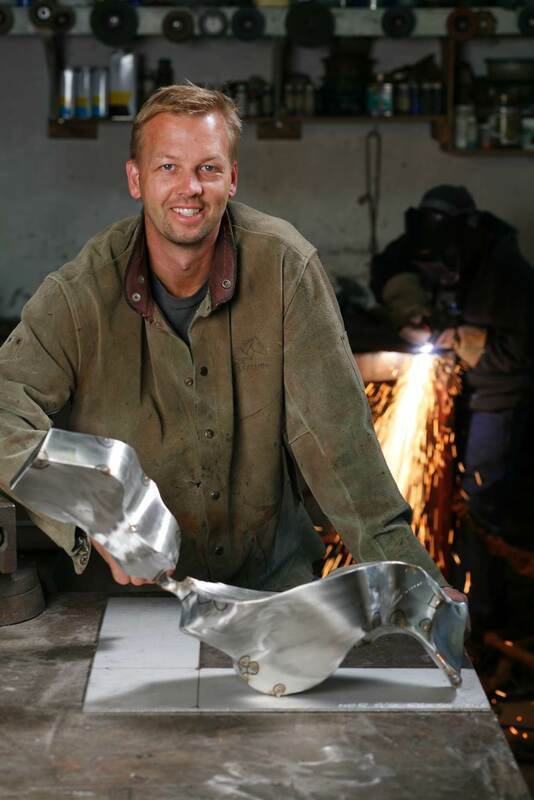 Krawczyk cuts, pounds and welds sheets of bronze and stainless steel to fabricate smooth, monolithic forms that look as though they were carved by a samurai slicing modeling clay. At the same time, the craggy profiles of his current sculptures suggest raw stone yet evoke the vaporous shapes and movements of smoke. There are echoes of Noguchi in this work, as it sits at the intersection of natural and manmade forms. Traces of Moore can be found in a consistent concern with volume and abstract figuration. 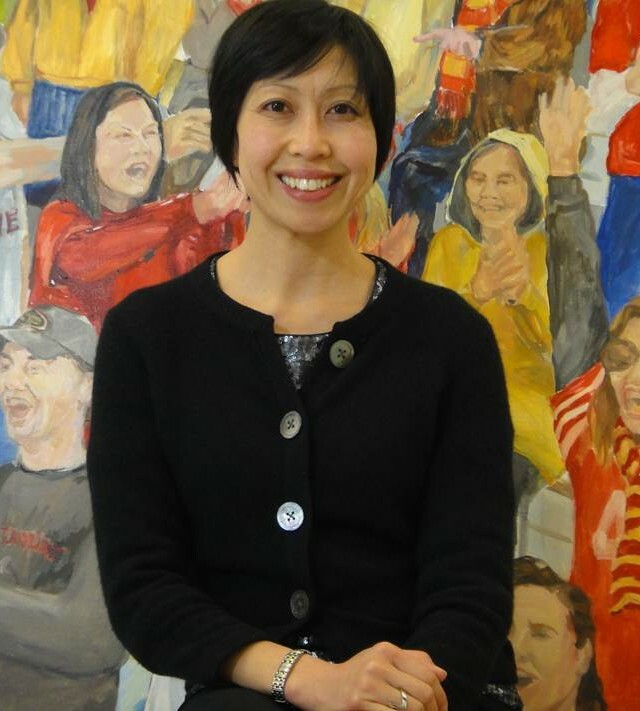 Over her painting career, June Li has been influenced by many different movements and painters, notably the movement of Northern European Symbolism, Impressionism, Cubism, German Expressionism, The Blue Rider Group, and Russian Constructivism. Li’s artwork is displayed in numerous San Francisco Bay Area public venues and private collections from China, Florence and London. 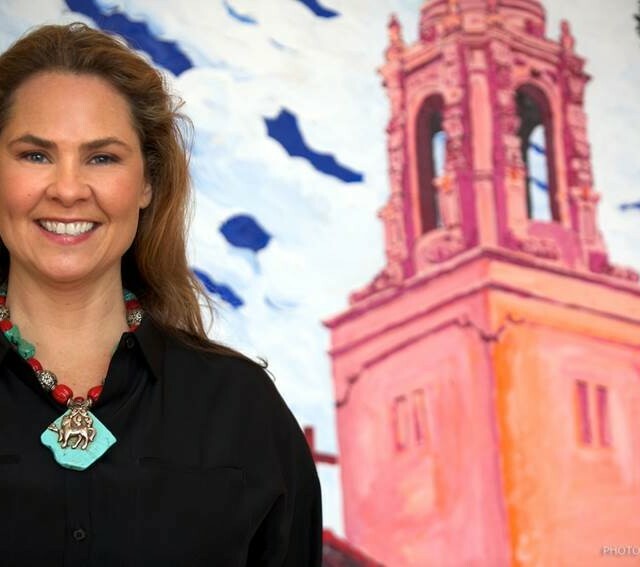 She is the member of Art Span, Art Explosion Studios, and Mission Artist United. 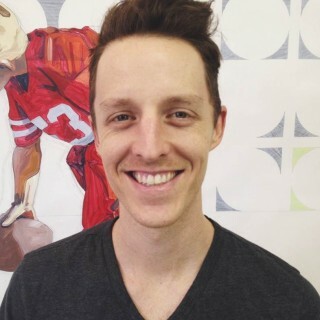 Tom Mosser attended Penn State University and graduated with a BFA in Fine Arts. 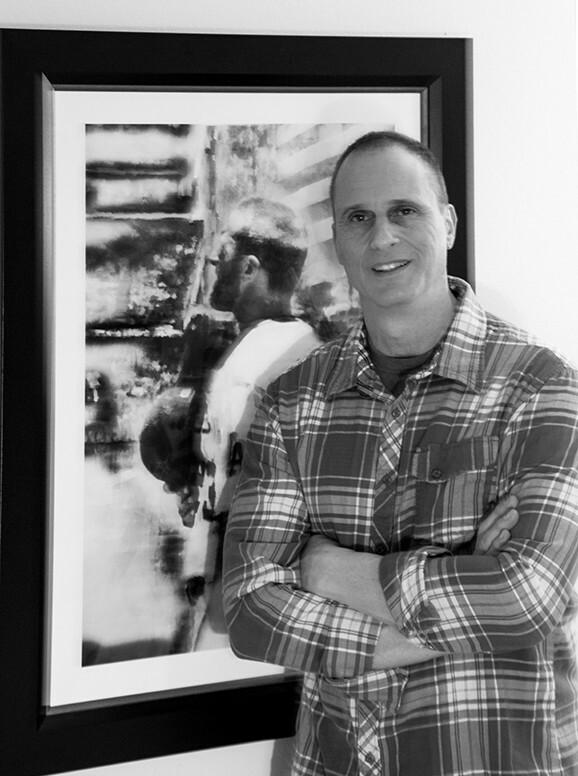 In the mid ʻ90ʼs, Tom was awarded four national sports awards for his portraits of Roberto Clemente, Honus Wagner, Mario Lemieux and Mark McGuire. 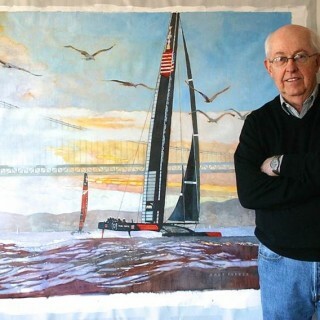 Mosser was commissioned to complete a 75′ x 4.5′, three-panel mural that is currently on display in the Pirates’ administration offices at PNC Park. Mosser completed, “The Mural,” a 195′ by 35′ mural housed in the Prudential Center in Newark, NJ, one of the largest free form murals in the country. Mosser has perfected his technique in “ambidextrous impressionism” as he paints with both hands, simultaneously. Known for her willingness to embrace new processes, materials and techniques, CJ Nash has experimented with a variety of media including painting, metal works, glass blowing, acrylic shaping and finishing and woodworking. She credits her Art & Design degree from San Jose State University for a solid understanding of creative fundamentals and extensive collaboration with a wide cast of artists. 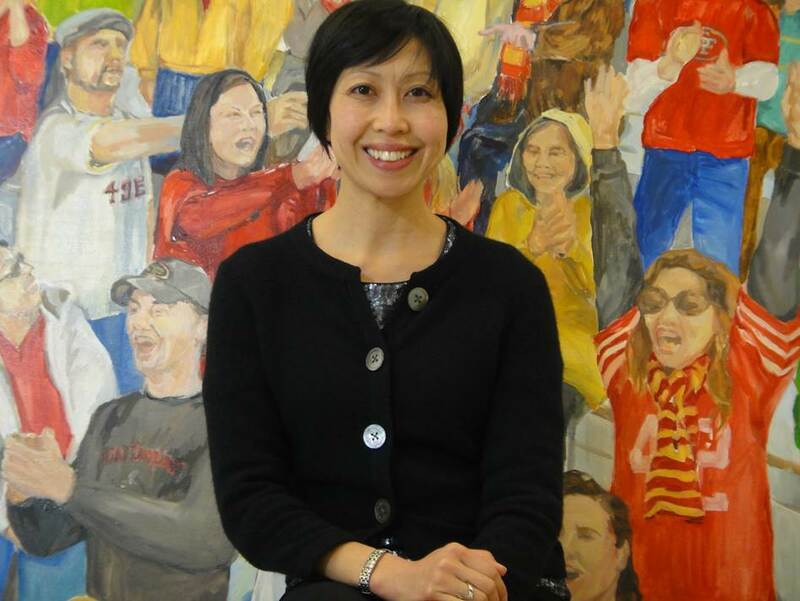 Hang Nguyen was born in Saigon, Vietnam, and was raised in the Bay Area. 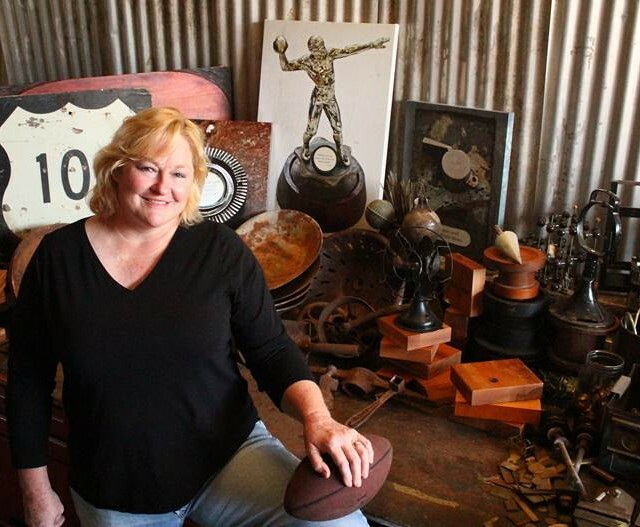 She grew up as a “Junior 49er Minor” and collected scads of Croix de Candlestick pins. 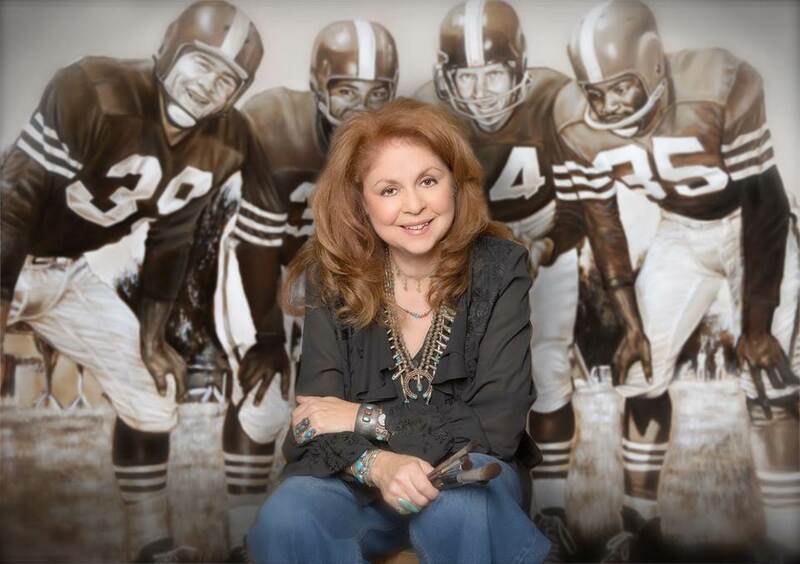 She and her siblings saw “The Catch” on TV and reenacted it many times over during neighborhood touch-football games. 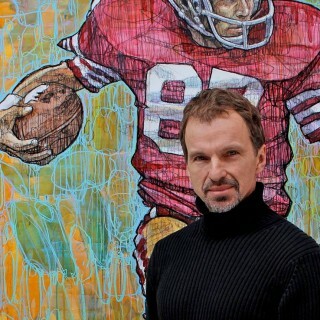 Nguyen is a trained artist, with a degree in Art, with a focus in Painting & Drawing, from Stanford University. 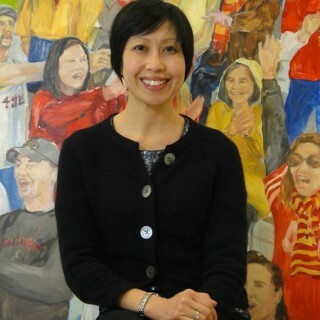 She has exhibited in over 30 shows nationwide and has collaborated with other artists on several public art installations. 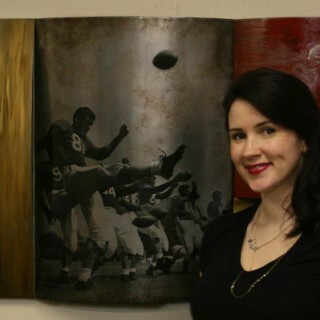 Her work is held in private collections throughout the U.S.
John Robertson earned a BA degree in English Literature from California State University, Northridge. 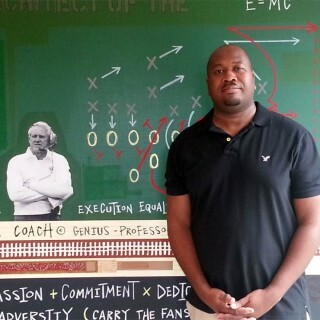 He was a senior executive with a large retail corporation for over 20 years. 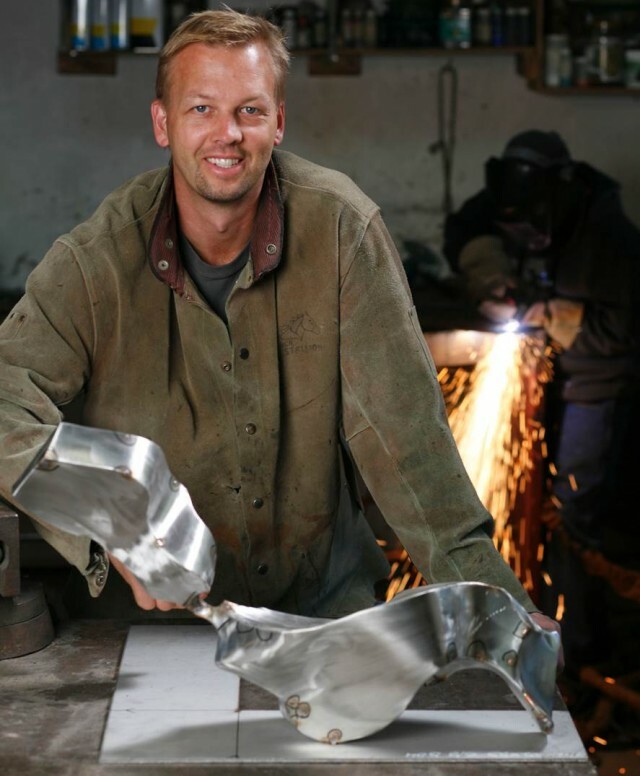 In 1991 Robertson left the world of business in order to pursue his interest in art on a full-time basis. 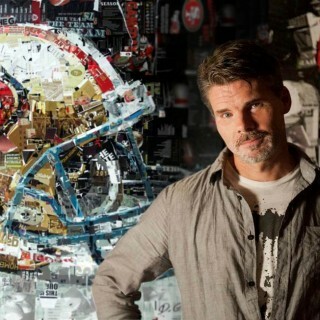 His work has been used in movies, television shows and many commercials and has produced pieces for FOX Sports and Disney. Robertson’s artwork has been exhibited in numerous one-man art shows across the country. 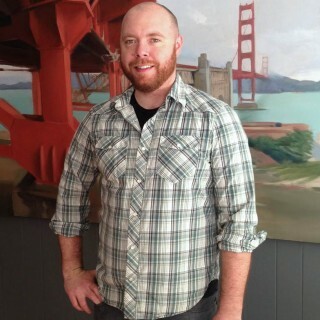 Frank Ryan is a native Californian born and raised in Marin county. Inspired by the local landscape, Frank finds unique perspectives on the common subjects of his experience. He draws from the historic themes of American and European realist traditions to reflect on the immediate aspects of direct observation. His influences include Edward Hopper, the Ash Can School, John Sargent, and Manet. 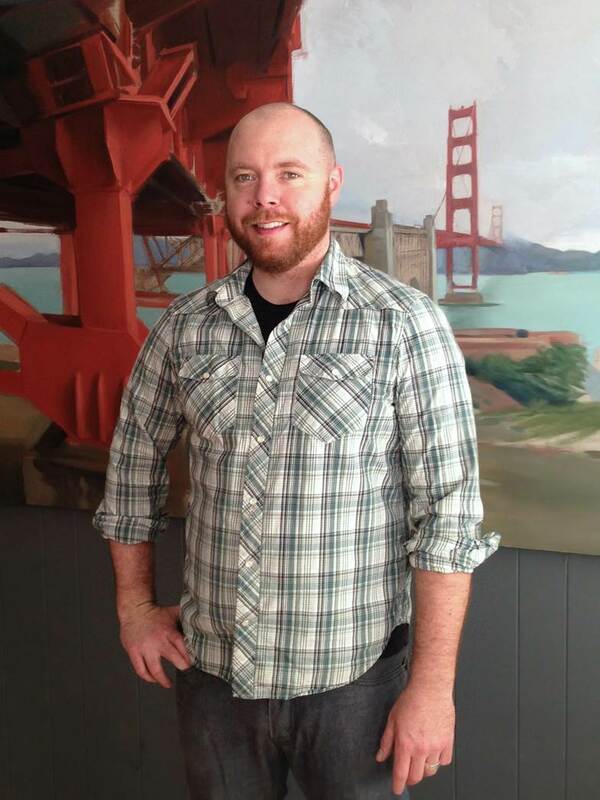 Frank Ryan received his BFA from Sonoma State University and his MFA in oil painting from UCLA. His work has been exhibited across the country and in Europe. He currently lives and works in Los Angeles. 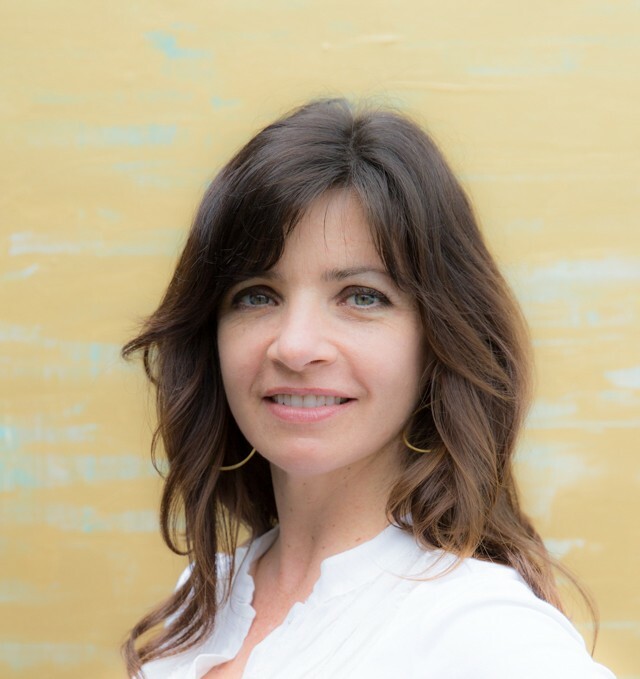 Salenfriend’s paintings are deeply influenced by her childhood experience growing up around abundant agriculture in California’s San Joaquin Valley. 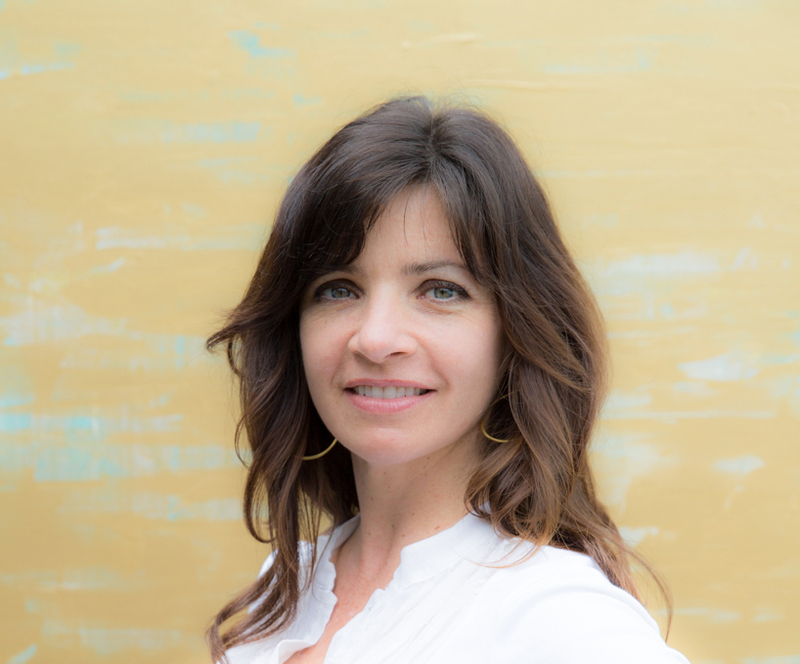 As a third generation Californian who also spent time in France and Italy, Salenfriend was influenced by these places in the way she sees and creates art. Her paintings are a metaphor for unearthing what is below the surface; texture, color and imperfection are often hidden behind a reflective and gilded exterior. Once she produces a painting, the final process is to apply the elegant, fluid, lighter than air, gold or silver metal leaf, burying parts of the foundation and leaving only bits and fragments of the original image uncovered. Growing up in Hollywood, artist Stanley Silver became fascinated at an early age with musicians, athletes, celebrities and American landmarks. 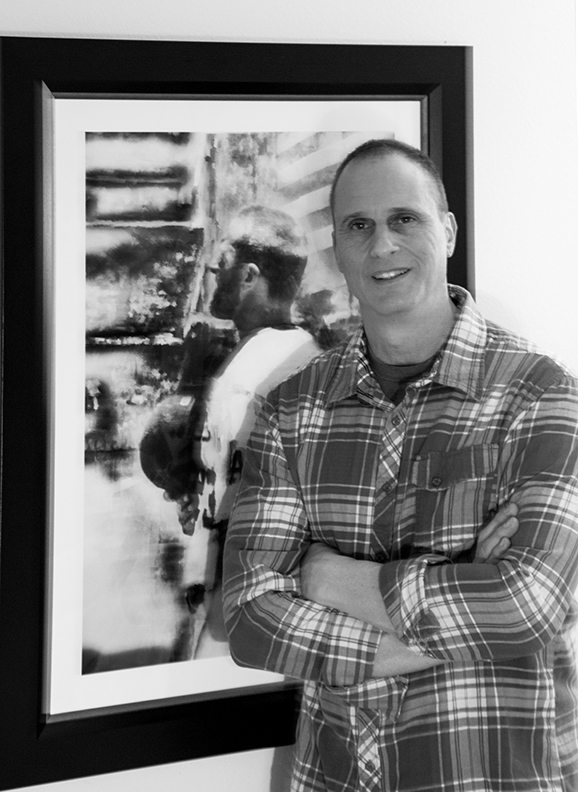 Silver’s art has been exhibited in prominent galleries and museums throughout the United States and has been selected as the “official artist” for many prestigious sporting events including the MLB World Series and All-Star Game and the New York Marathon. Hollywood has embraced Silver’s art for years. 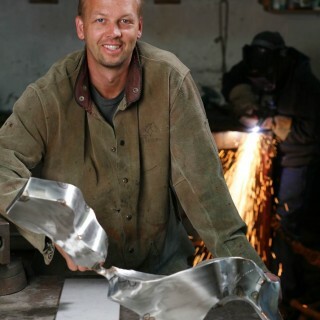 Most recently, Silver’s art captured the attention of the set decorator, cast and crew of the hit TV show, Entourage. 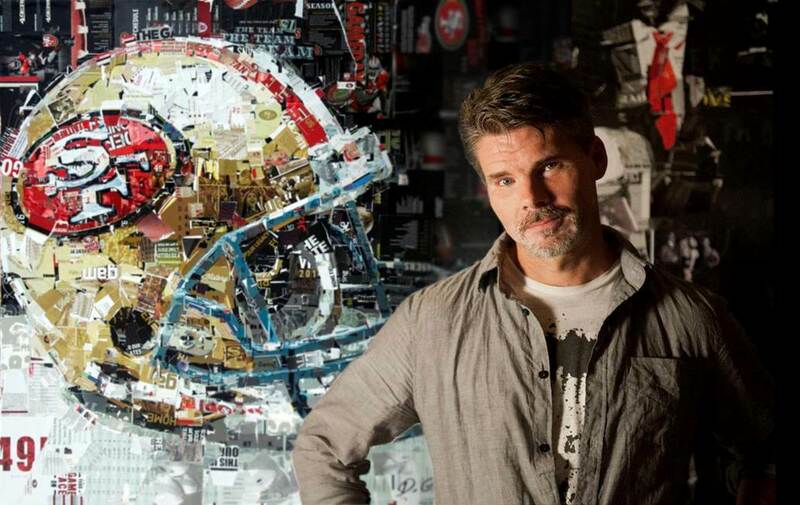 The Art Collection at Levi’s Stadium will help bring the walls to life as the original pieces of artwork not only celebrate the illustrious history of the 49ers, but also the history of California! SATA has created the unexpected by commissioning work from nationally acclaimed and local artists, some who have never shown before, giving depth to the collection. 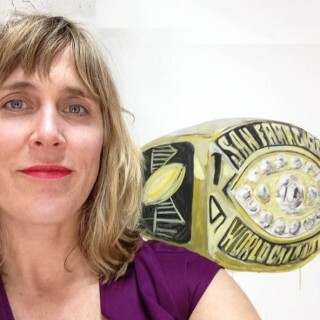 Tracie Speca-Ventura, founder of Sports & The Arts and curator for over 15 years thrives on blending mediums and perspectives to form exciting spaces within a venue. Invoking the viewer, Speca-Ventura transforms spaces into experiences! 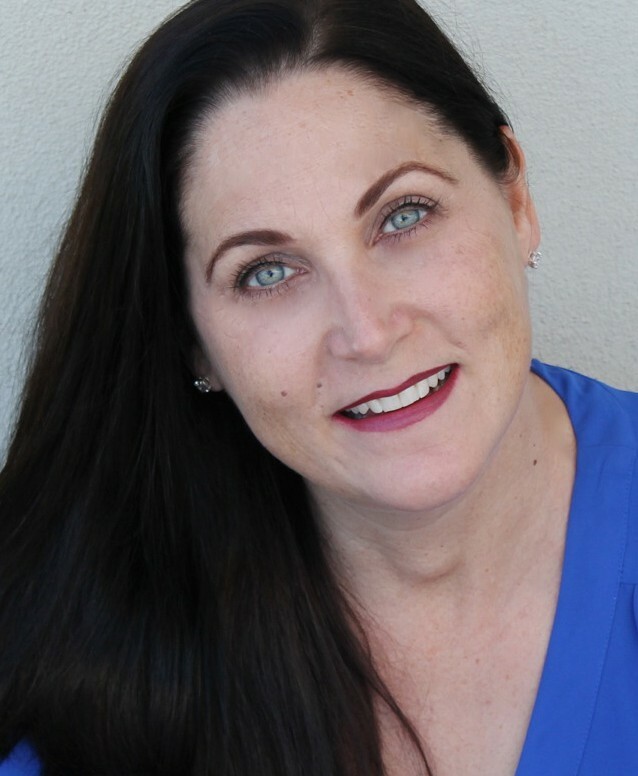 Her relationships with athletes as well as nationally renowned artists and her talent for discovering up and coming newcomers in the nooks and crannies of the US, is what makes her a leading broker in the industry. 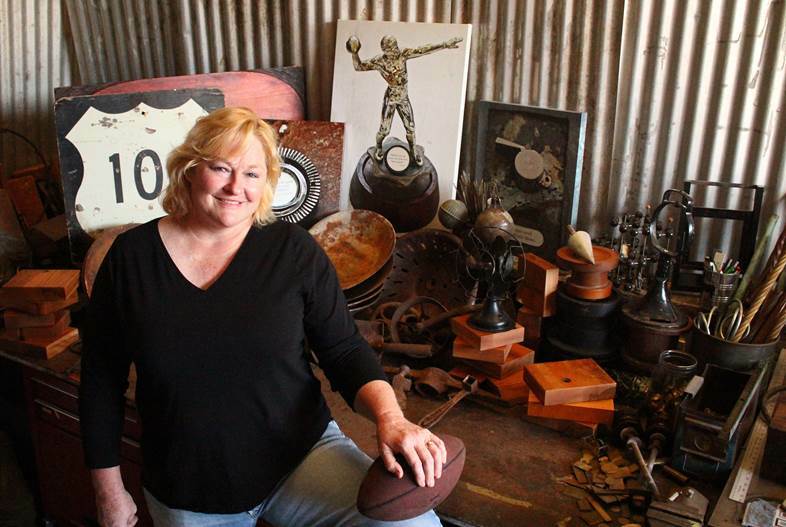 Speca-Ventura’s passion for this project ran deep as she resides on California’s Central Coast. 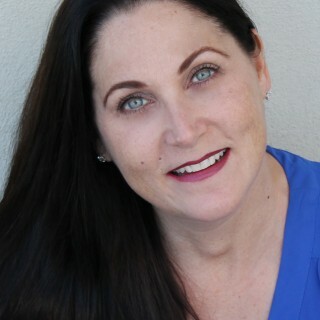 Camille Speca, SATA’s creative director, heads the photographic procurement and research division. Speca’s eye for finding the best images is key to the success of the photographic component of the compelling collections SATA creates. Speca strives to locate the images forgotten and includes these treasures side by side with the marquee shot. 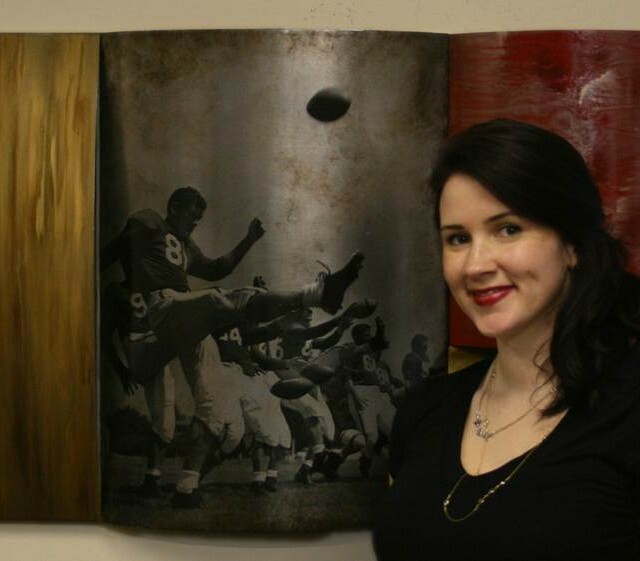 Her extensive experience in graphic design and ability to create one-of-a-kind exhibits are what drive her to discover and capture poignant moments in time. Heavily influenced and inspired by the photographer Ansel Adams, the 19th century Impressionists and the 20th century Surrealists, David Ullman’s intention is to frame the human experience and its subtle and not so subtle nuances through the vehicle of abstract, impressionistic surreal imagery. As man has evolved, art has also evolved, transcending time, mirroring the ever-changing human experience. Art often challenges the notion of conformity, questions contemporary issues, and captures the human spirit. Art can be simple, intricate, and complex. It is often times seen as esoteric and enigmatic. It is universal and boundless. Ullman resides in Southern California. Liz Walsh is an artist from San Francisco CA. 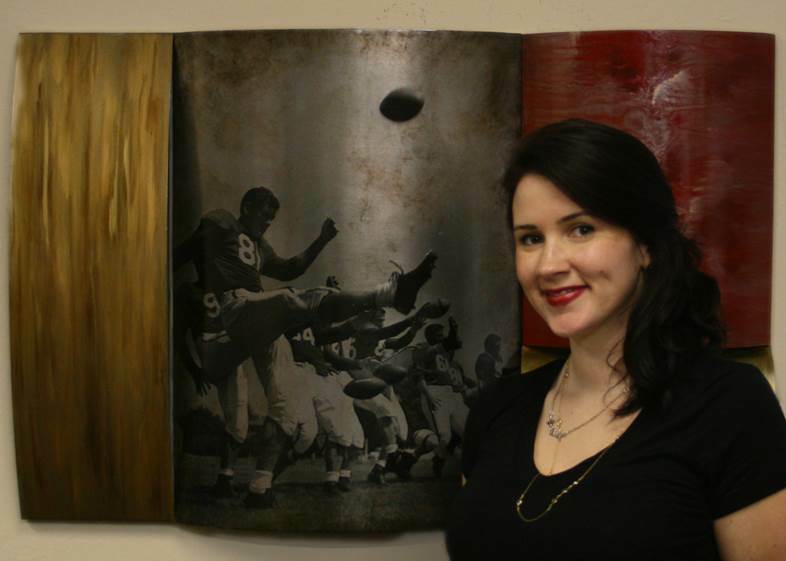 She works with a variety of mediums ranging from sound, video, painting and interactivity. 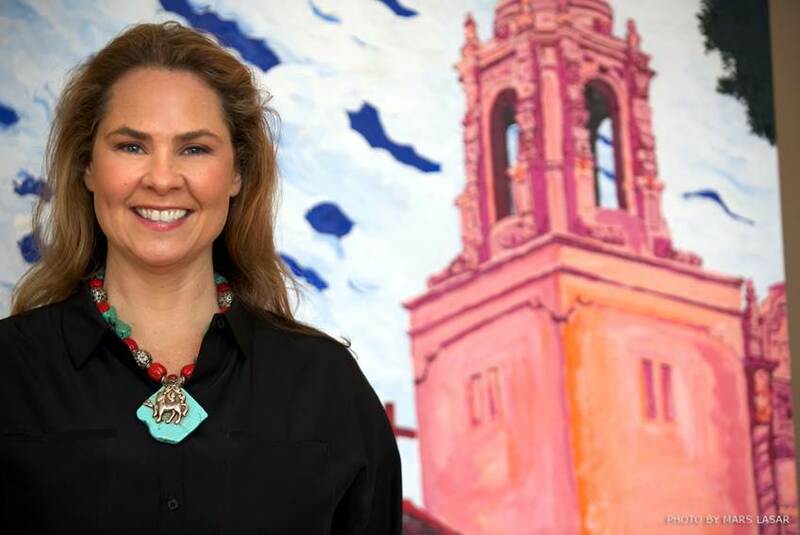 Walsh received a BFA in Painting from the University of Colorado at Boulder in 1994 and an MFA in Painting from the California College of Arts and Crafts, San Francisco in 2003. That same year she was also awarded the MFA Headlands Studio Award. 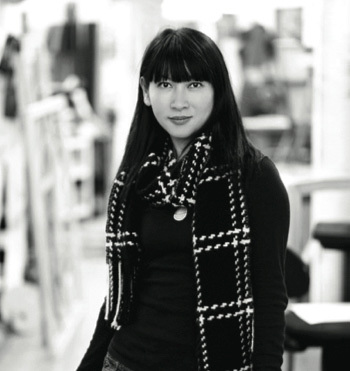 She has participated in residencies at Cooper Union, NYC and the Many-Mini Projectin Berlin. 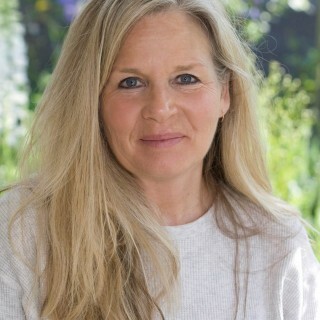 Walsh has shown her work in the U.S., Japan, Mexico, and Europe. 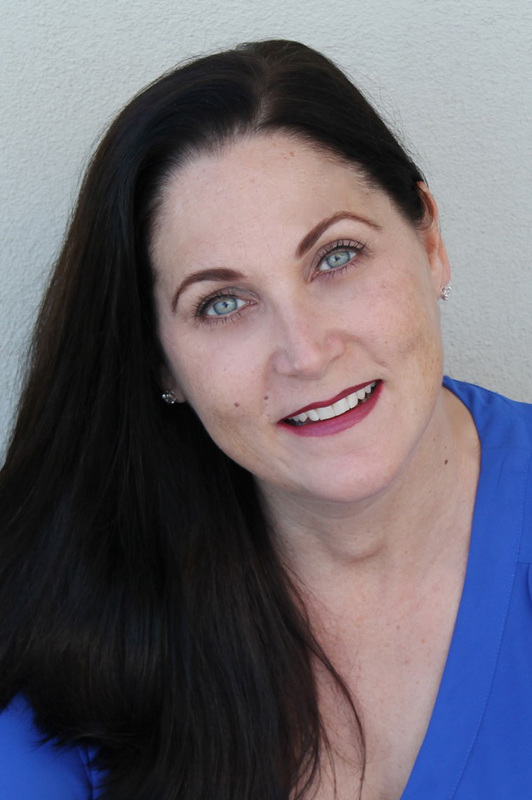 Born and raised in Los Angeles, Samantha Wendell grew up amid the strong influence of the entertainment industry. Classically trained as a portrait painter in France and England, Wendell further developed her concepts through vigorous research and discipline. By incorporating her education and experiences, she has evolved to a level of perfection and uniqueness in her portraiture. 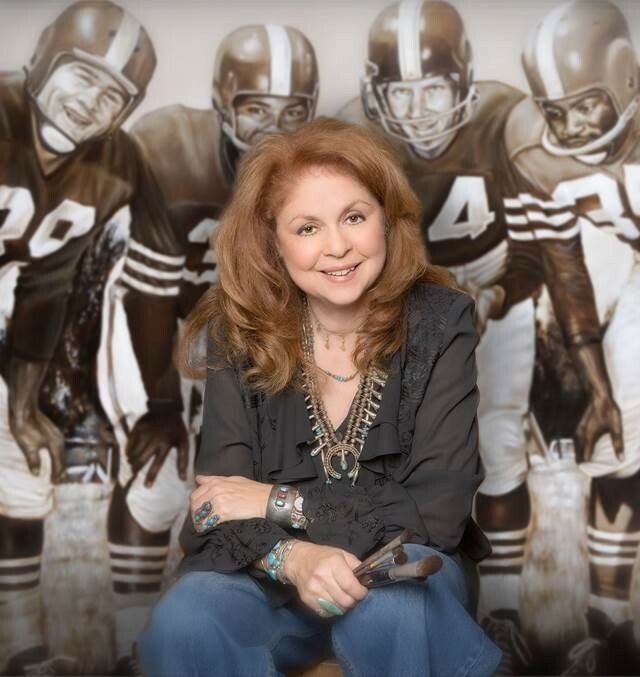 Through Sports & the Arts, Wendell’s artwork has been commissioned by the Philadelphia Phillies, Orlando Magic, Los Angeles Kings and FOX Sports, among others, and her work can be viewed in the Staples Center in Los Angeles, and the Prudential Center in Newark, NJ.